In 2006, it was questioned whether epidemiology is a scientific discipline or just the scientific method used in public health.1 Among the issues raised was the following: how is an epidemiologist trained? 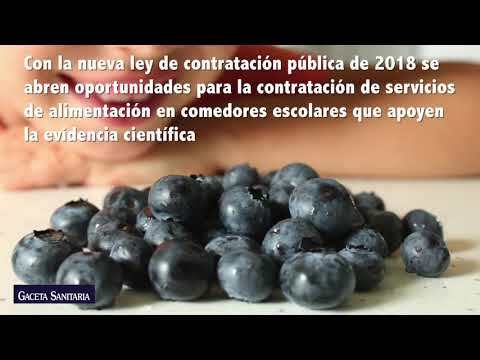 The Ley General de Sanidad of 1986 and subsequent royal decrees and amendments on specialised medical training in 1996 and 20052 established the requirement to complete a master's degree in public health for doctors training to specialise in preventive medicine and public health. This master's degree was to be developed in educational institutions linked to the Health Administration. Some of these institutions sought synergies with universities to achieve the recognition of these master's degrees as at least a Titulo Propio, meaning a university-specific degree that is not recognised as official according to the Spanish regulations and therefore gives neither access to doctoral degrees3 nor international recognition by other European countries. Thus, the master's in public health fell outside the legislative framework of formal university education, as also happens with the postgraduate training in epidemiology and some of the degrees in biostatistics in Spain. The multidisciplinary nature of public health is unquestionable at this point; however, in the current Spanish model, the faculties of medicine and health administration are responsible for regulating access to training and organising their academic content, which places medicine in a clear dominance over other disciplines of public health. However, in the most prestigious academic institutions in the world, postgraduate training in public health and epidemiology does not depend on medicine but on university schools, independent of the faculties of medicine and health administration. Public health schools count with their academic structure and international recognition, including independent academic teaching staff from the faculty of medicine. In the last ten years, there have been intense debates to boost the discipline, make it relevant to the genomic revolution, and place it at the forefront of the digital era. As a result, training in public health and epidemiology has been renewed, with marked statistical and methodological reinforcement, such as the current emphasis on causal inference, or the inclusion of master's in data science for health as a new academic degree. Let's reflect on the situation in Spain from a more global perspective. It is necessary to reform access to training, and create or renovate existing public health schools attached to universities. Possibly, the ideal formula is to decouple existing graduate programs from the faculties of medicine and health administration, to take them to new or renovated independent public health schools. Academics from these institutions should focus on breaking the boundaries of knowledge between disciplines, including a global perspective5 using cutting-edge quantitative methods for research. It is urgent that we reform our approach to public health training because the gap between our model and that of the countries that lead the discipline is ever increasing. MALF and ENC wrote the letter and revised it critically for important intellectual content. M.A. Luque-Fernández is supported by a Miguel Servet I Investigator Award (grant CP17/00206) from the Carlos III Institute of Health (ISCIII), Madrid, Spain. Boletín Oficial del Estado. SCO/1980/2005, de 6 de junio, por la que se aprueba y publica el programa formativo de la especialidad de Medicina Preventiva y Salud Pública. BOE n.°(152, 27/06/2005. M. Blasco Blasco, J. Atenza Fernandez. [Broadening the professionalization of public health: multiprofessional specialized training]. P. Fine, B. Goldacre, A. Haines. Epidemiology — a science for the people. P.M. Rabinowitz, M. Pappaioanou, K.L. Bardosh, L. Conti. A planetary vision for one health.